UPDATED: Cut-rate airline Ryanair is following through on its threat to stop flying from the private- and county-owned Rygge Airport in Moss, south of Oslo. The Irish airline has complained mightily about the Norwegian government’s plan to impose a new airline seat tax this spring, as part of efforts to meet climate goals. 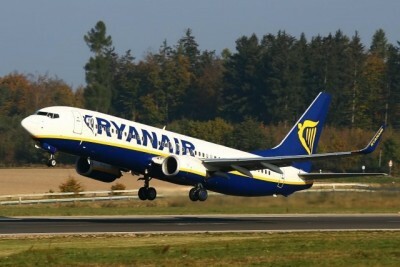 Local newspaper Moss Avis reported Monday that Ryanair’s summer flight program would continue as planned, but that the airline would drop flights from Rygge at the end of October if the tax proposal goes through. That means the volume of passengers traveling through the small airport, which mostly serves Østfold County and Oslo-area residents keen on cheap airfares, will fall from 1.6 million to less than 500,000 a year. And that, Tandberg claimed, will force the airport to close. Norwegian Air dropped flights when Ryanair made its highly publicized entry a few years ago, and the remaining volume of passengers will be too small for the airport to operate economically. There’s no question that both Ryanair and airport officials are putting heavy pressure on the government to drop its seat-tax plan. Tandberg considers the tax, which would add around NOK 80 (USD 9) to the price of airline tickets, both punitive and unique, and one that will severely damage airports that aren’t part of the state-controlled Avinor airport system. If the tax is imposed and airports lose airline business, Tandberg claimed, 1,000 jobs will disappear in Østfold County alone, and 4,000 to 5,000 nationwide. The Torp Airport in Sandefjord is also among airports under threat of losing the low-fare carriers they serve. The tax is still due to be imposed from April 1, with its hearing round running until February 21. Tandberg hopes negative testimony submitted during the hearing process will convince the government to drop the tax, which was largely a result of climate pressure on the minority government coalition from one of its support parties, the Liberals (Venstre), during state budget negotiations last fall. Others have argued that an 80-kroner tax won’t be enough to discourage travel-happy Norwegians from flying, and thus won’t have the desired effects of ultimately reducing flight capacity and carbon emissions. Climate advocates, not least those from the Green party, strongly disagree. Tandberg told Moss Avis that he at least hopes the airline seat tax will be postponed if not dropped entirely. Ryanair, meanwhile, is evaluating flights from Oslo, where it would still have to pay the tax, but hasn’t been willing to comment on any concrete plans. Airport officials later said the new flights from OSL Gardermoen may begin this autumn.